Save 5 minutes a day by using ASAP Utilities to insert English formulas you found as examples. 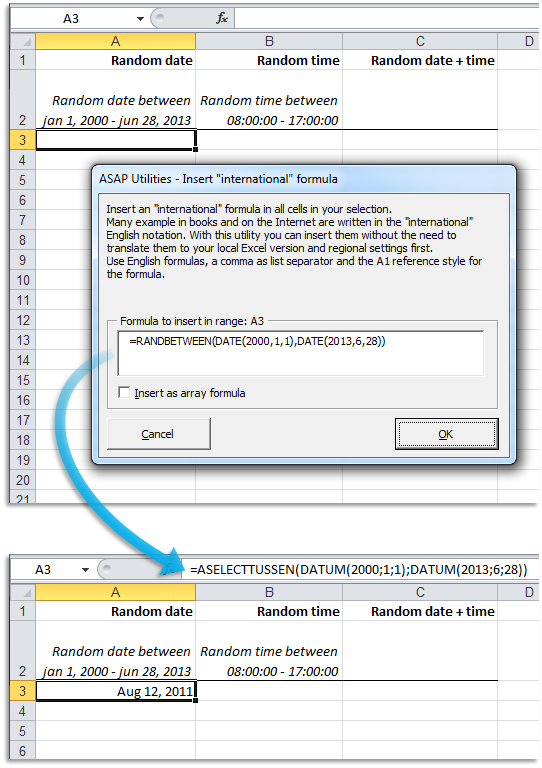 "How to use English formula examples in your local Excel version?" On the Internet you can find an enormous amount of useful formulas for Excel. Most of these examples use the "international" formula notation. They use English function names, a comma as list separator and a point as decimal separator. If you use an non-English Excel version or other settings then translating and inserting such example-formulas can be a difficult or tedious task. Fortunately, with this tool from ASAP Utilities you can easily use such international formulas. 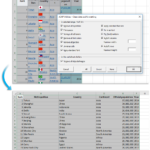 Independent from your Excel version or country settings. ASAP Utilities converts them automatically to your local settings so they can be used in your Excel version, such as for example Spanish, French, German, Dutch, etc. etc. 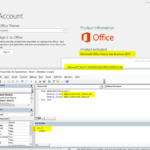 When finding excel examples on the internet they are often written in English, but my office installation takes all worksheet function names in my local language. Can the function naming language be switched between local language and English, or is there a translation table somewhere? Is it possible on a French (or whatever you want) Excel to use the English names for functions? It's sometimes a nightmare to copy a formula from a web site finding the name in French, replacing , by ;.